“At the end of the last war I was a young mother with a husband and two children and we were living in terrible accommodation. With so many people bombed out of of their homes we knew it would be years before we could have any sort of decent accommodation. Then, amidst all this doom and gloom old labour came into power and we witnessed miracles taking place before our very eyes. Council houses were being built, prefabs (temporary homes) sprang up like mushrooms almost overnight. Then, although only my husband was working and that was for a very modest wage, we managed to get a mortgage for a home of our own. Schools were built, family planning and baby clinics where I could get free orange juice and free milk when my children started school. They didn’t call “Margaret Thatcher the milk snatcher “for nothing! Factories re-tooled so they could return to peacetime production. The NHS was born, roads and railways rebuilt after so much excessive bombing. Because my brother didn’t pass for grammar school he went to a technical college where he learnt a trade. There were jobs,for the first time in years and we had that wonderful thing called “Hope” life was good. Owing to us having to fight a very long and expensive war we were far more in debt than we are now. However, old labour put people before money and so decided that although we would have to repay this massive debt we would take our time and not make the savage cuts our government is making now. So, there were no people sleeping on the streets or visiting food banks. Instead they were busy working at re-building Britain’s infrastructure and getting it moving on the roads and railways. True we took a very long time to repay our debt, but we did repay it and our country didn’t suffer the terrible austerity .and cuts it is suffering now. 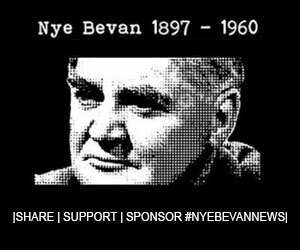 This is why I am supporting Jeremy Corbyn, it is because he represents the old labour which literally saved our lives all those years ago. Of course he is ridiculed and hated, because his enemies realise he is a very real danger to them. Although I am now eighty six I am actively engaged in trying to get the homeless off our streets not only for their sakes, but also for the sake of my nine great grandchildren who will shortly be needing a home of their own. I can hardly walk, but I can still use my computer and speak at council housing meetings, when someone gives me a lift..I also regularly phone radio stations and open people’s eyes. Finally, this is not just Jeremy’s fight, it is also ours because we are in a serious fight, if not for ourselves, for our children and grandchildren. All too often people think they can’t do anything to get rid of this dreadful government, but believe me they can if they sincerely want to. Also, they believe that they have to wait for a good many years, however this is also not true, the fact is it could happen in a matter of days. So, we must be prepared and focused on putting this amazing Mr Corbyn into number ten, Now wouldn’t it be great if old labour came into power and put the country back on its feet as it did when I was a young mum? Now there’s a thought!” Joan Langrick. Previous articleShadow Education Secretary Angela Rayner demands a debate on tuition fees increases.